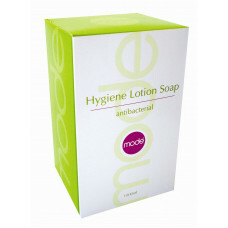 Mode Hygiene Lotion Soap is perfect for those with sensitive skin and ideal for hospitals and medical facilities. 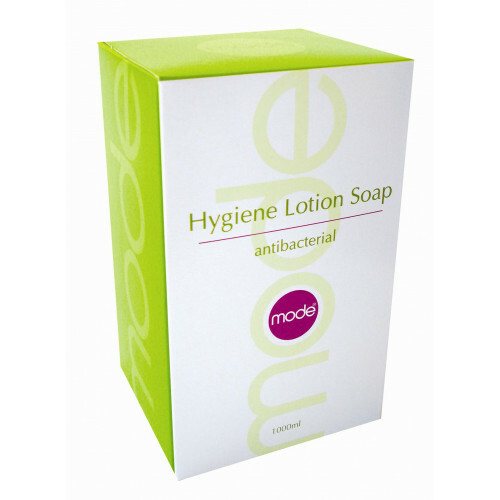 Fragrance-free, Mode Hygiene Lotion Soap includes non-irritant, coconut-derived skin conditioners and moisturisers, and has exceptional anti-bacterial and anti-microbial properties. It’s the kind of soap your skin thanks you for – and that continues to perform, day after day. This lightly perfumed, deluxe foaming lotion soap has been enriched with Aloe vera for moisture and .. This deluxe, pearlised hand lotion soap has been enriched with vitamins and emollients, including no..
For a milder soap that’s kind to sensitive skin, choose Mode Luxury Hygiene Lotion Soap. T..
Mode® Lotion Soap Dispenser combines elegant good looks with simplicity of use and effortless mainte..